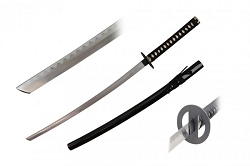 This Champloo Anime samurai sword has another of the most unique tsuba's of the anime family. The pommel and guard are bronzed colored metal. 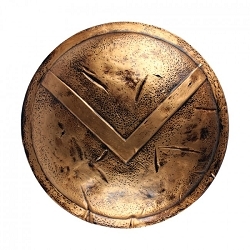 The guard is shaped like an upside down u. The tsuka is wrapped in a brown cord in the popular samurai style. 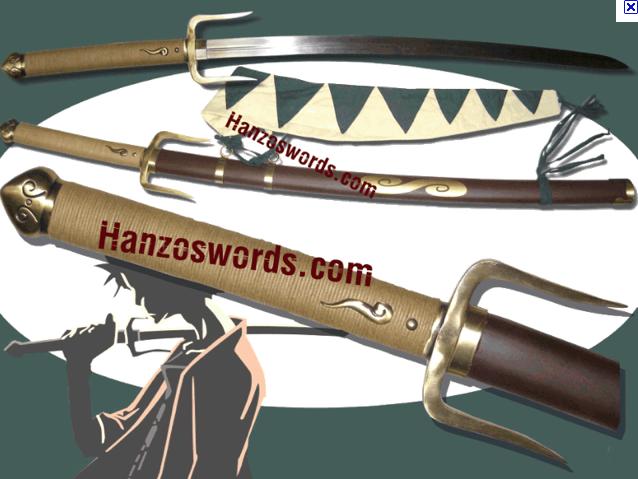 The wooden scabbard (tsuba) is painted brown with a gold painted anime emblem, and encases a 26 3/4" 420 stainless steel blade that has a factory sharpened edge.